Fabulous big, fat, juicy strawberries are everywhere in our local markets at the moment. It is a great time to make the most of them as not only are they at their lowest prices, they are at their best quality too. Whenever we hit this time of year I make plenty of fresh Strawberry Muffins which are great for lunchboxes, morning tea and any other time. The kids love them and any extras can be easily frozen for later use. Preheat oven to 200C. Line a 12 hole muffin tin with muffin cases or grease. Combine dry ingredients. Make a well and add egg, milk and butter. Mix together lightly until just combined (the mixture should stay lumpy) then stir through strawberries. Spoon the mixture into the muffin tin, dividing evenly among the holes. Each hole should be about ¾ full. Bake for 20-25 minutes. Test the muffins are cooked by inserting a skewer into the centre of a muffin. When cooked, it will come out clean. 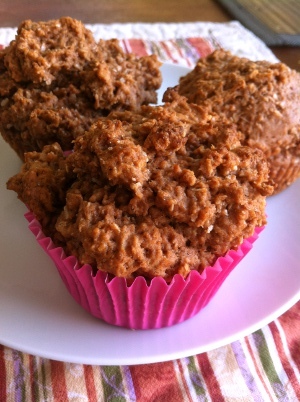 Mixture can be used to make 24 mini muffins or 12 large muffins. If fresh strawberries aren’t available, use frozen or canned. Other berries can also be substituted. Store in an airtight container for 2-3 days or freeze immediately. 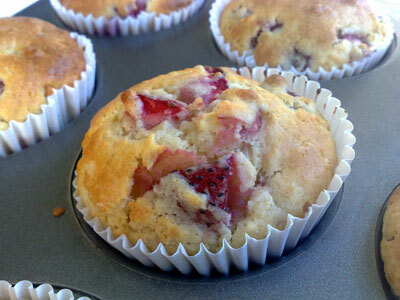 With still plenty of strawberries to come, I’ll be making plenty of these strawberry muffins. This year, I’m also contemplating my first strawberry jam experiment. I’ll keep you posted. Any favourite strawberry recipes to share?